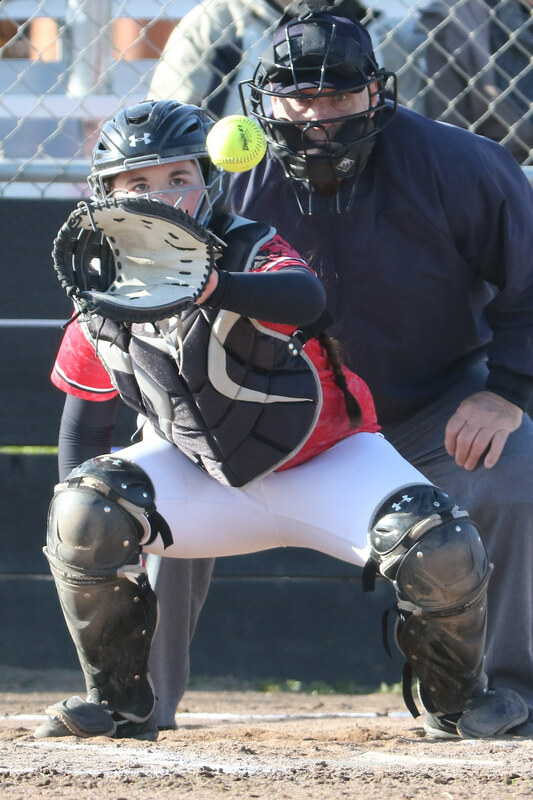 Coral Caveness beats the snot out of the softball. 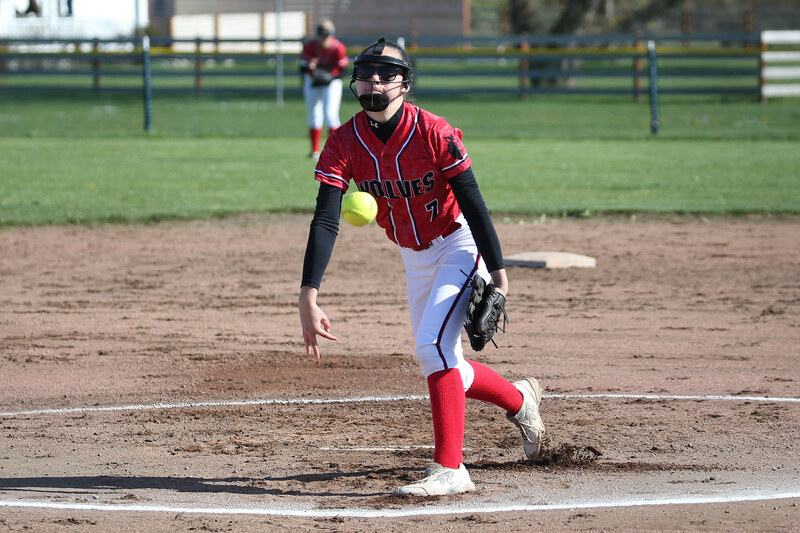 Chelsea Prescott unleashes a cannon disguised as her arm. 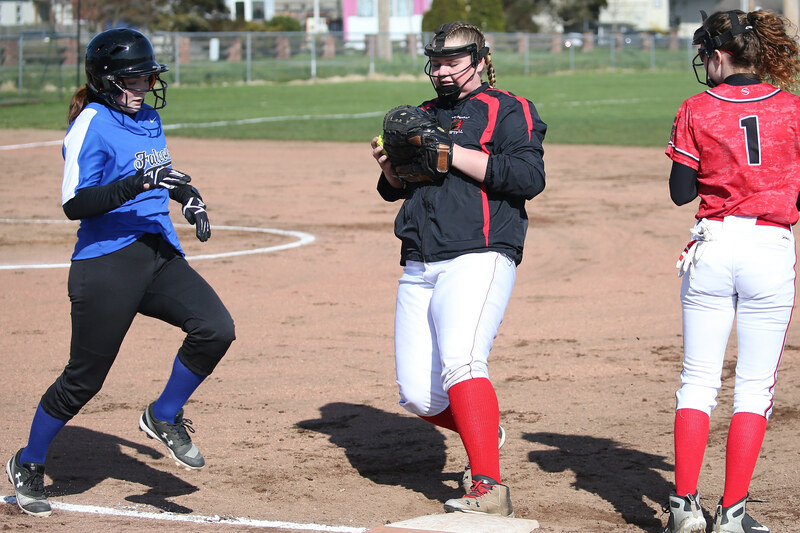 Veronica Crownover wins the race to first base. 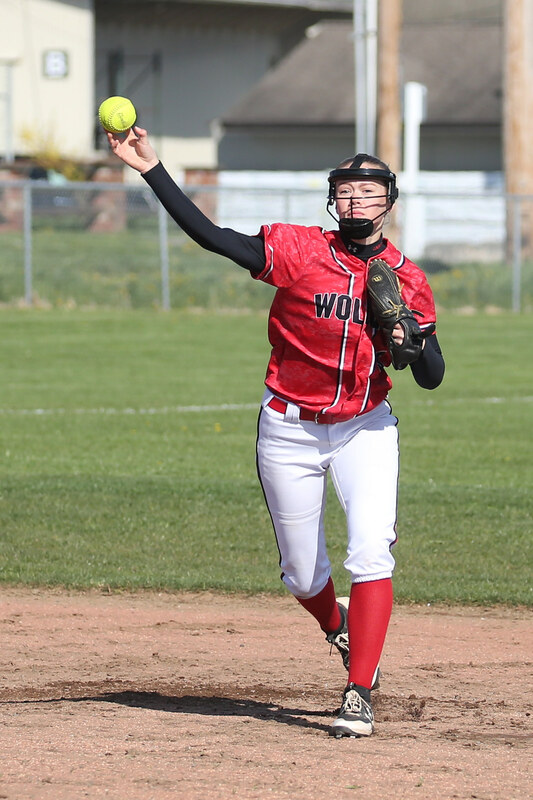 Sarah Wright comes up firing. Scout Smith snaps off the high, hard cheese. It was an auspicious return. 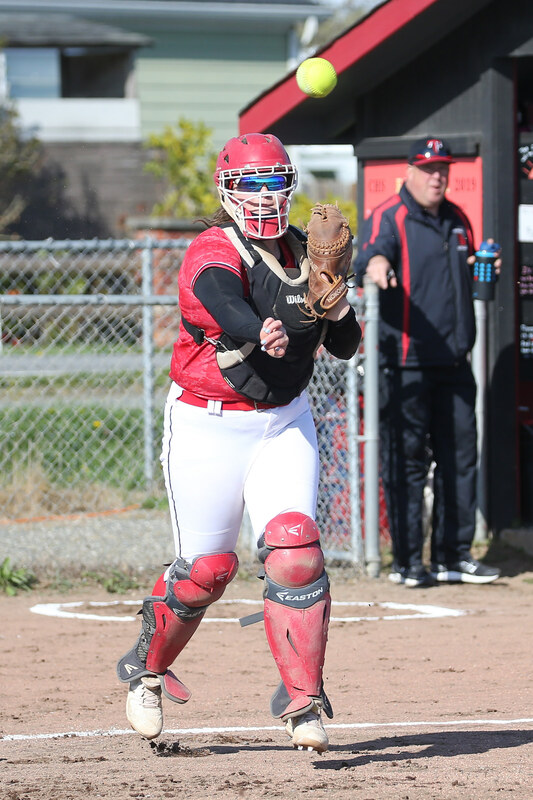 Back from spring break, the Coupeville High School softball squad smashed arch-rival South Whidbey 18-1 Tuesday, and we have the photos to prove it. 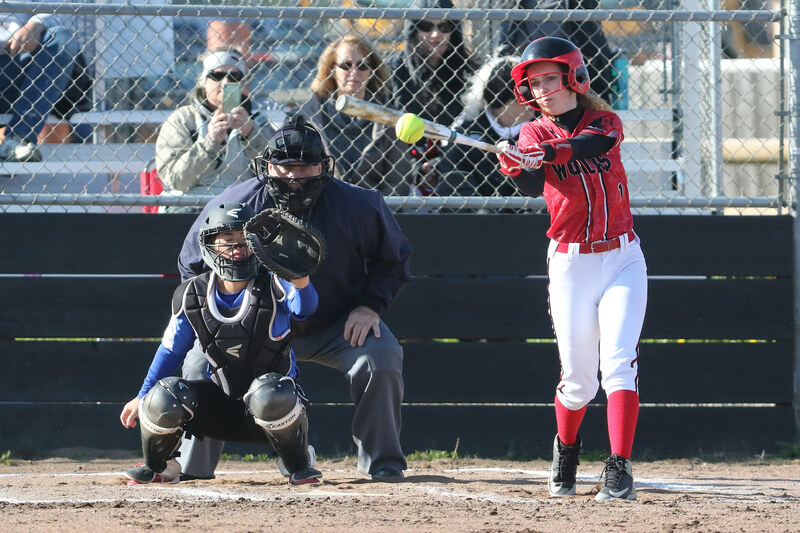 Hard-working man with a camera John Fisken bounced between two events in Cow Town, capturing pics of girls tennis and softball, and some of his best work on the diamond can be seen above. And, if you should purchase some glossies when you find yourself on his site, know that you’re helping others, as a percentage of all sales goes to help fund scholarships for CHS student/athletes.